My wife and I inherited these two Piagets as a couple from my parents . Just wanted to share what seemed to be outdated couple of years ago now seems to be historic pieces being relaunched by the brand . OMG! Those are beautiful heirlooms! 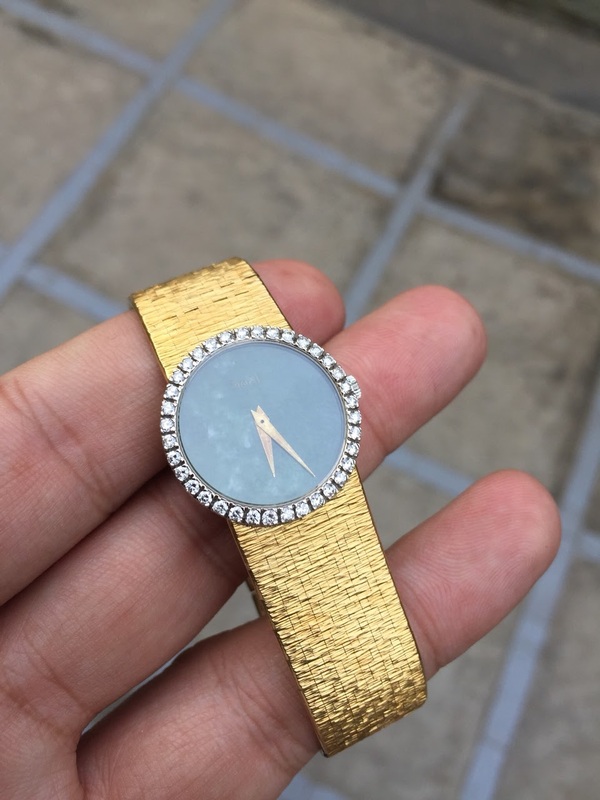 Can you please tell me if you know what type of finish is on the bracelet? 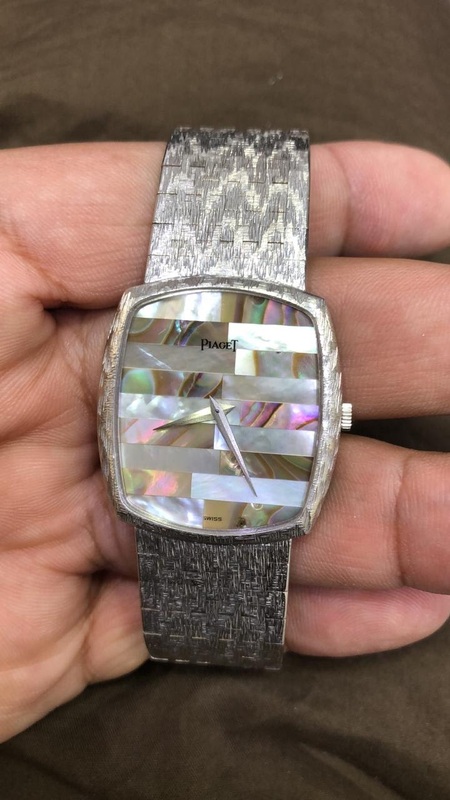 I love it and I saw a couple other watches with a similar finish but i do not know what the official name is. 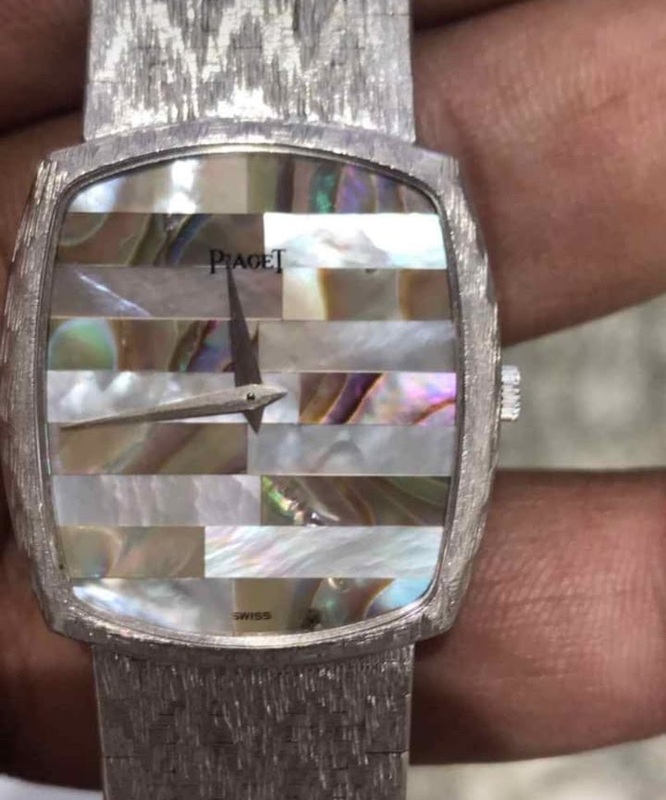 Did Piaget ever make that in a 44mm case, I hope?! Wear in the best of health!. If the batteries are dead, remember to remove the batteries before they leak battery chemical liquids all over the movement! Keep them in a dry area! Using Piaget Own Movements 9 P for Manual and 12 P for Automatic . Piaget , Watch of Celebrities . Jewelary watch of Fame and celebreties . Pieces of Art with Dials of Jade , Mother of Pearl and all kinds of Precious stones . 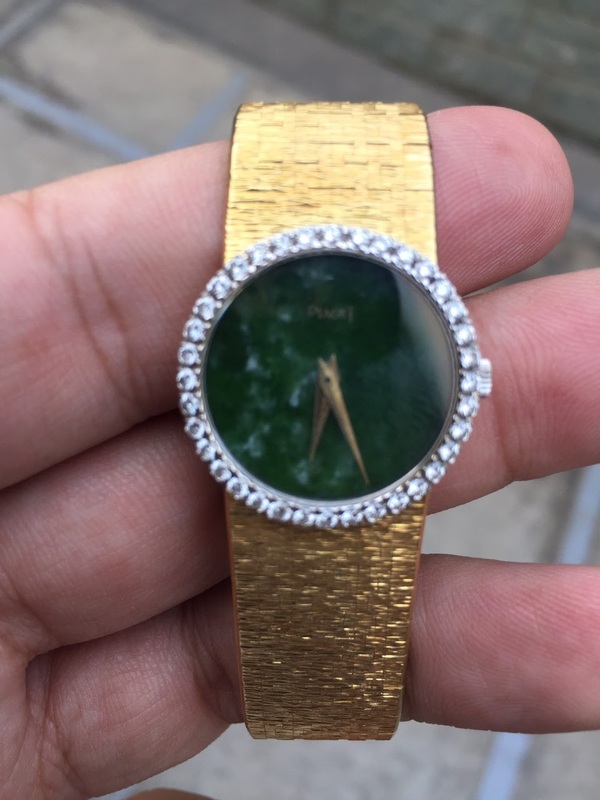 My mother loves Piaget and so do I . ..if you ever wish to part with the WG one please let me know.